I’m thankful for the vast amount of hospital memories that have been tucked away in a box, in the bottom shelf of a dresser drawer, down a long hallway, in the back of my mind. However, if I close my eyes there are some memories I can retrieve instantly and re-live the moment. Off we went down the hall, turning left, then right, and straight ahead for a long time. All of a sudden I heard the noise of a door opening and my view of the plain ceiling was transformed into a gorgeous blue sky, with puffy clouds. A cool breeze blew across my face. I felt alive. This breath of fresh air was the medicine I needed. As fast as the freedom arrived, it vanished as we entered the next building. That day I experienced a feeling that I embraced, a sensation that gave me hope; let my imagination run wild. It was an emotion that led me to my love of the great outdoors. 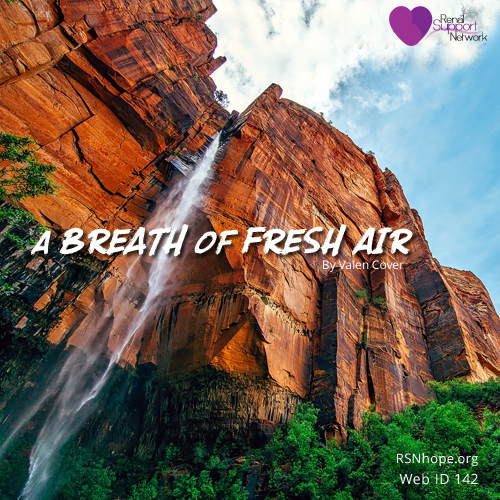 Whether you have had a bad day at work, or like me, have been battling polycystic kidney disease from an early age, we all need a breath of fresh air, an escape from reality. Today, my escape is hiking in the great outdoors. This year I hiked the tallest waterfall trail in the US, and the second tallest in the world: Yosemite Falls. I never underestimate what our bodies can endure. I spent 11 months in the hospital when I was 19 and 20, when both my kidneys were removed. I was on dialysis, and thankfully received a kidney transplant. I believe there is nothing I can’t overcome. As I hiked 2,425 feet up Yosemite Falls, I did not think of the challenges I face on a daily basis due to kidney disease. Instead, I felt empowered. Hiking has improved the quality of my life, not only physically but mentally. It is vital to always have something to look forward to and set goals and achieve them. As my fiancé and I climbed up the granite cliff, I stood at the bottom and giggled and thought: “I’m going to hike to the top of that!” The journey to the top was difficult, with constant uphill grades and switchbacks, however the perfect blue sky and sunshine kept me focused and determined to reach my goal. Adventures like this contain mysterious, hidden treasures along the way, and breathtaking views become snapshots in your mind. My favorite moment occurred when I reached the top of the mountain and looked down to see how small everything was, and how far I had traveled. I looked at the mountains in the distance and my mind was clear, my imagination soared, and I was hopeful for my future. I took my 2:00 p.m. transplant meds at the top of Yosemite Falls, filled with sheer joy, proud of my accomplishment, and overwhelmed with the beauty of transplantation and what I am able to do today thanks to the gift I have been given. When I am enjoying nature, life seems clearer to me. I consume the simple beauties of the world, re-energized. I reflect on what really matters and dream about the great future ahead of me. I felt like I was on top of the world, standing at the summit of Yosemite Falls. Birds soared at eye level and I was engulfed by a calm, peaceful feeling that told me: “Everything is going to be ok.” I reflected on my life and how far I have come and how far I plan on going. Living with kidney disease is not easy, but I am proud to say I am not only surviving but I am thriving! From birth, Valen Cover has faced a challenging medical heritage. Everyone on her mother’s side has poly­cystic kidney disease (PKD). From age five, she battled through seizures, scoliosis surgery, pan­creatitis, a congenital anomaly, and more than 70 blood transfu­sions—until finally, on August 13, 2002, she became the first in her family to receive a life-saving kidney transplant. Today, Valen is a 28-year-old woman with a passion to educate and inspire. Her threefold mis­sion is to increase the public’s understanding of the importance of research into kidney disease, to promote organ donation, and to help spread awareness of PKD, Though Valen now lives in Auburn, California, she founded the South Central Pennsylvania chapter of the PKD Foundation and has organized numerous PKD fundraising walks and educa­tional seminars. An accomplished public speaker, she shares her message of hope through her award-winning biog­raphy, My Favorite American, to audiences throughout North America. 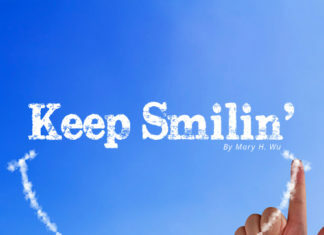 You can visit Valen Cover’s biographer’s website at www.dennismccloskey.com to learn more about her triumph over adversity.